Get notified when NBA All Star Game tickets are available! The National Basketball Association All-Star Game is a highly anticipated annual event. The game brings 12 players from the NBA’s Eastern Conference together on one team and 12 players from the NBA’s Western Conference together on another. Then, the teams face off in a single game to see which Conference can better the other. 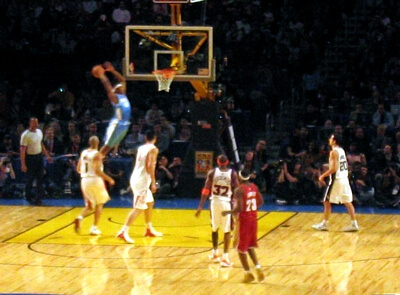 While the exact date and location of the NBA all star game varies every year, the exhibition game is usually held sometime during the month of February. If you’d like to attend an upcoming NBA all star game, you can follow the links above and buy NBA All Star Game tickets online.